The outbreak likely started from a traveler who became infected overseas with measles, then visited the amusement park while infectious. However, no source has been identified. Analysis by CDC scientists shows that the measles virus type in this outbreak (B3) is identical to the virus type that caused the large measles outbreak in the Philippines in 2014 . This virus type has also been identified within the past 6 months in 14 other countries. 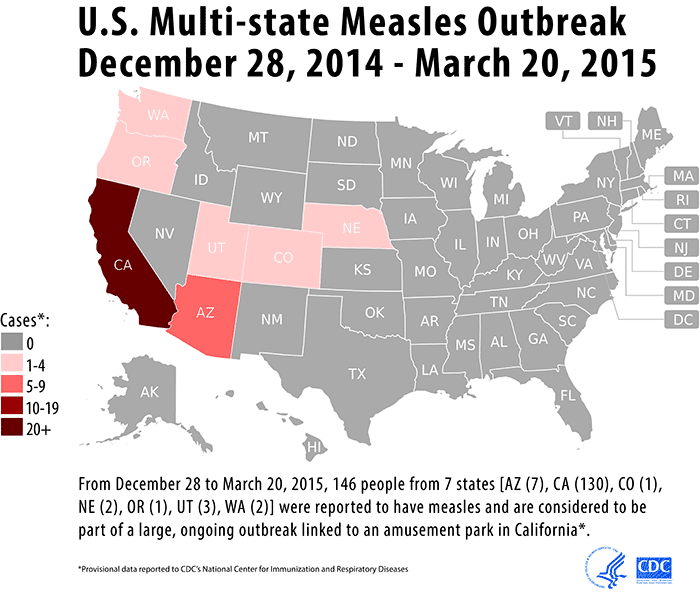 Additionally, at least 6 other states in the U.S. have had measles cases with B3 virus type, not associated with the current outbreak.